Oct 2 By Jen 9 Comments This post may contain affiliate links. 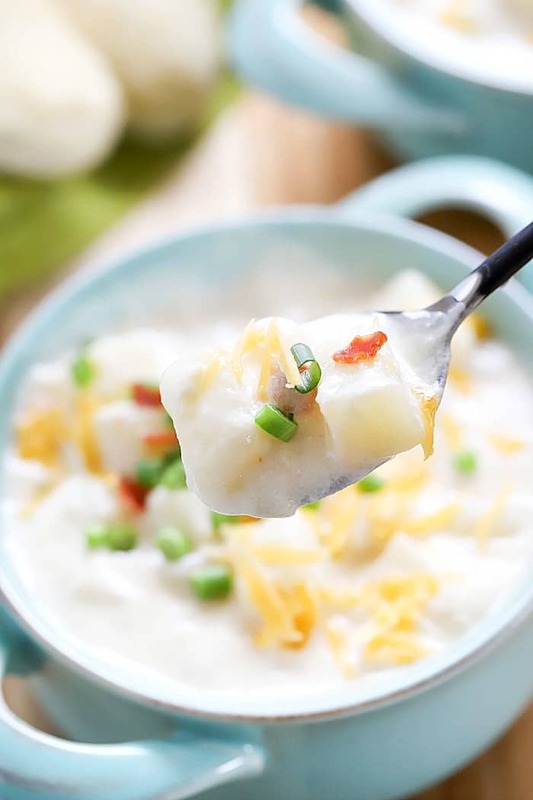 You will love everything about this amazing Cheesy Potato Soup Recipe! 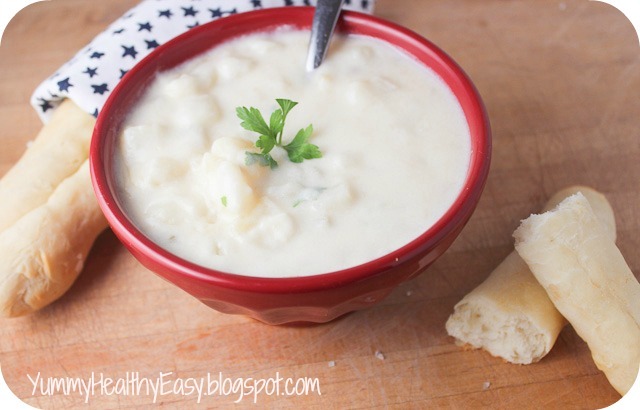 It’s a one-pot, easy to make, creamy, hearty soup for a delicious comfort food dinner! 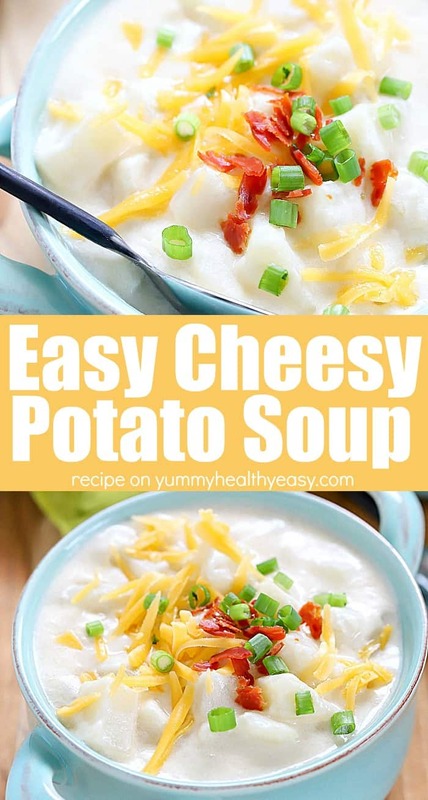 This Easy Cheesy Potato Soup is so yummy and SO easy to make, it’s insane! You only need one pot and it’s done in under 30 minutes! Our weather here in Southern California has been a little out of whack. One day it’s freezing cold, and then the next is warm and nice and then the next day it will rain! It’s absolutely bonkers. I’m okay with the cooler days right now because I know it’s going to heat up soon. Plus, I love cooking comforting meals when it’s cold outside. 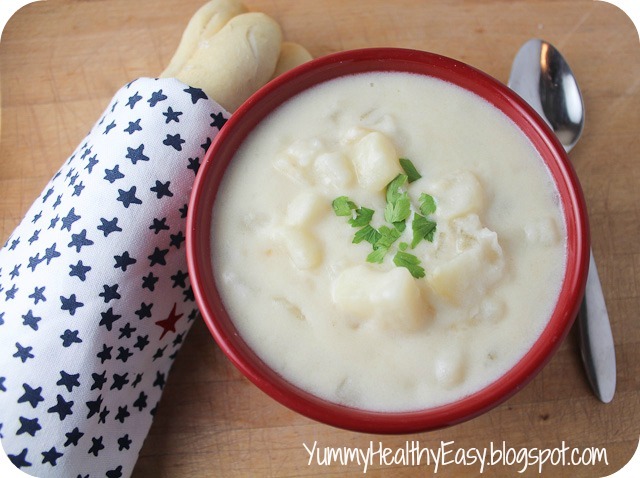 I decided to update this Easy Cheesy Potato Soup Recipe because it’s so good and deserved better photos than when I first posted it on here back in October of 2012. My boys love this soup so much. 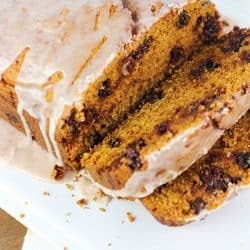 It’s actually my sister Holly’s recipe and she is an awesome cook! Cut the potatoes as evenly as possible so they cook equally. Super important or you’ll have soft potatoes AND hard potatoes when you’re cooking this recipe. Use the cheese designated in the recipe notes below to give you the right results. 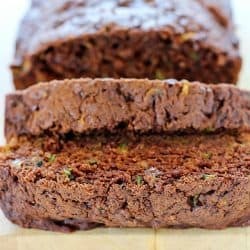 If you want spicy or not spicy, this will make a huge difference! I use the 98% fat free cream of celery soups and light sour cream but feel free to use the full fat versions! Make sure to not boil the soup after the half and half and soups are added, but keep a light simmer. 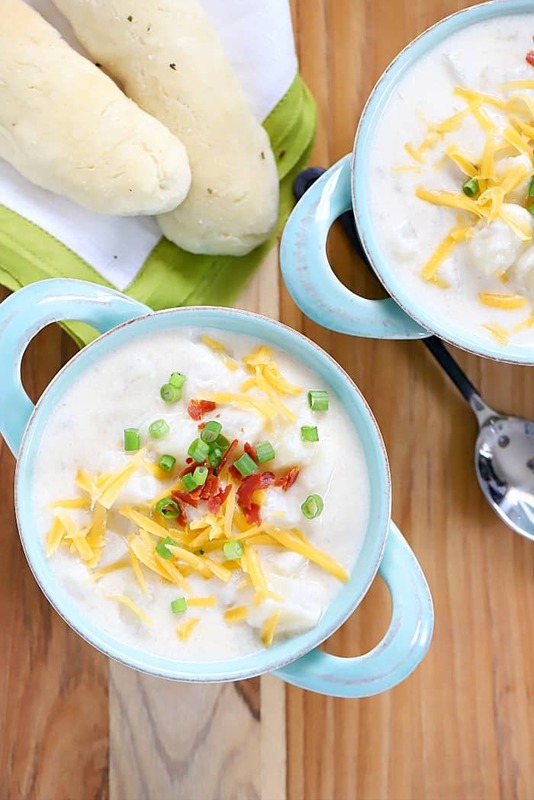 This Easy Cheesy Potato Soup Recipe is a cool weather staple in our house. My boys go absolutely crazy for it so no matter what the weather is like, it’s a winner at our house! Do yourself and your family a favor and try this out ASAP! I know you won’t be sorry! 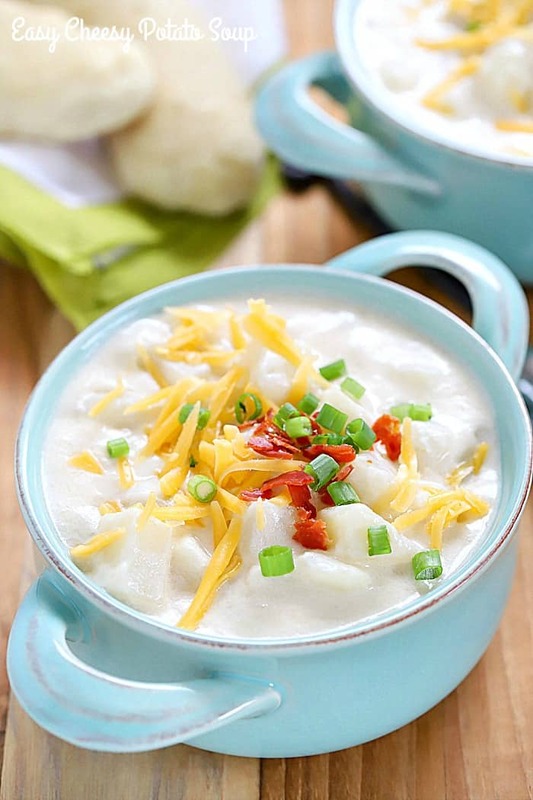 You will love everything about this Easy Cheesy Potato Soup! 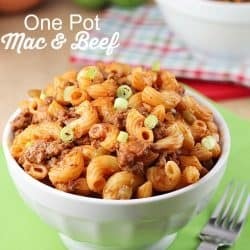 It's a one-pot, easy to make, delicious meal the whole family will love! Pour broth into a large soup pot. Add in diced potatoes and boil until soft in the broth. Do not drain. Add in shredded cheese and stir until melted. Turn heat down to medium-low and then add in half & half, cream of celery soups, sour cream and dried onion. Simmer for 15-20 minutes or until heated through and creamy. Serve warm and enjoy! *for no spice or heat, use all monterey jack, for medium spiciness use half monterey and half pepper jack and for full heat use all pepper jack. Sounds good and easy. I love potato soup. I have never tried pepper jack cheese though. 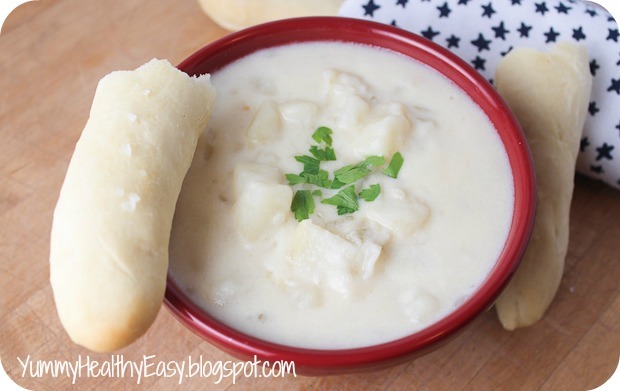 We just love Potato Soup and your recipe looks wonderful, the bread stix look awesome! Enjoy your weekend and thank you so much for sharing with Full Plate Thursday. 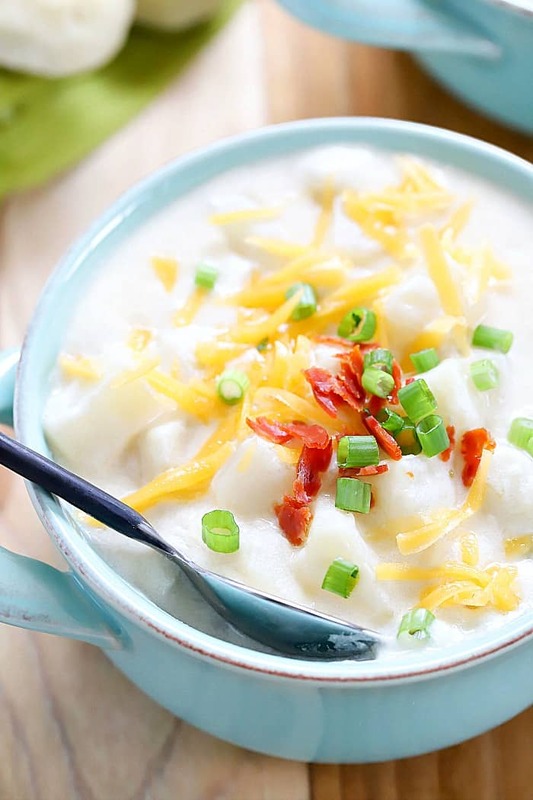 I love potato soup and this recipe sound divine and simple. Al cold as it had been this week we may be making some real soon. This looks great! I’m excited to try it! Thanks! 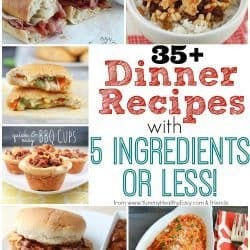 Thanks for some great looking recipes! With cold weather coming fast, I have been looking for great soups that I can make in a short time!! 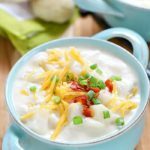 I know my kids will love this potato soup too!!! PInning for sure!! !